A sermon preached at the Church of the Incarnation, San Francisco, on the Feast of the Visitation, 2016. Isn’t it interesting that the calendar brings Memorial Day and the Feast of the Visitation so close together? It can’t help but make you thoughtful. At first glance, Donald Trump’s visit to the tomb of the unknowns at Arlington and Mary’s visit to her cousin Hannah haven’t a lot in common, but the larger themes of war and peace mark both occasions and need, I think, to be looked at together. Begin with the readings assigned. Both readings today give us a song of peace: Hannah’s song and Mary’s are similar. Mary’s, in fact, is based on Hannah’s and both celebrate humility and lowliness and both celebrate the downfall of pride. God, we are told, has an agenda and that agenda is the downfall of human power and the raising up by God’s power of the weak and the helpless. Memorial Day on the other hand tends to celebrate military power. To be technical, it simply remembers those who died for their country and asks no questions about the worthiness of the cause. But surely the cause does matter. There’s been a lot of controversy this last year about statues and war memorials. My daughter went for years to a church on Memorial Avenue in Richmond Virginia where every few blocks there’s a traffic circle and in the middle of the traffic circle a statue of a confederate leader on horseback. The one exception is the last statue which gives us Arthur Ashe holding a tennis racket. Which, I wonder, will be longer remembered? But what are we to do with the generals? I don’t have a big need, myself, to take them down. Memorial Avenue left unchanged is a powerful statement on the foolishness of war. Here are all these generals carved in stone, and all around them a city that has long abandoned what they fought to preserve. No one has accurate numbers, but nearly a million young men died in the Civil War, far more in the North than the South, and more than in all our other wars together. This is, we like to say, a great country, but was there then no one able to avert that disaster? Why did so many have to die to gain freedom for slaves? Why were so many willing to die in defense of the indefensible, in defense of slavery, in defense of the power to buy and sell human beings? But how many men and women have died in American wars more recently: in Vietnam in a losing cause, in Afghanistan to no obvious purpose? So, yes, let us remember those who have died, but let us also remember those who sent them to die when there was nothing to be gained by so doing. I happen to be reading the second volume of a three-volume biography of Winston Churchill [William Manchester: “The Last Lion”] and volume two is the story of the ten years from 1930-1940 when war could have been prevented if politicians had been more centered on peace and less centered on winning the next election. How many millions died in World War II because politicians failed to act sensibly? 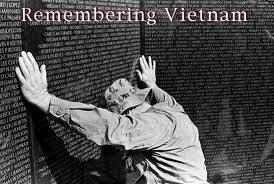 By all means honor those who died, but not without questioning the necessity of those deaths. Do you remember the story of Brer Rabbit and the tar baby? I sometimes think a good many wars are like that: the harder you fight, the more you get stuck. The more men die in Afghanistan the harder is to get out – because it will signify that they died in vain. But having more men and women die in vain is not the answer. Donald Trump and Barack Obama don’t have much in common but both announced themselves opposed to the war in Afghanistan and neither could find the courage to end it because they didn’t dare look like a loser. And how many more need to die before someone has the courage to act? I’m supposed to be talking about the Visitation: the coming together of two pregnant women whose sons would change history without drawing a single sword. And one of them sings a song, basically the same song that Hannah sang a thousand years earlier, about the putting down of the rich and powerful and the raising up of the lowly. “He has scattered the proud . . . He has brought down the powerful . . . He has lifted up the lowly . . .” That is God’s priority. Let us pray that someday it will also be ours.